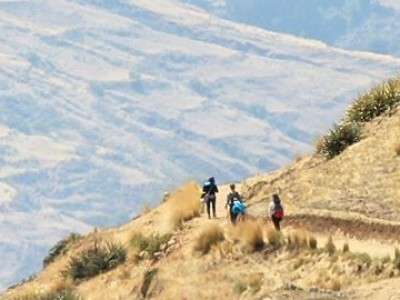 One of the best hiking trips in the Peruvian Andean Mountains. For the local people, this mountain is considered as a sacred spirit. 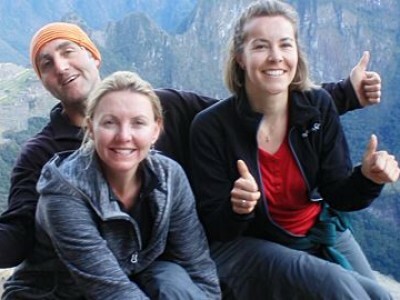 Lares Trek to Machu Picchu offer mountains, valleys, lagoons, charming Andean communities villagers which has been the enjoyment of many tourists who hike this marvelous place. North of Lares, high on a mountain, between the walls of the Urubamba River gorge, lies the Inca complex of Machu Picchu, where you will have a thorough visit and a guided tour around. Trip grading: Good physical conditioning is required for this trip. Hiking time per day: 7 to 6 hours between 15 to 17 km a day. When booking the Lares trek to Machu Picchu, please make a reservation with at least two months in advance to guarantee a ticket to enter Machu Picchu. During the high season (May to October, Easter and Christmas), please make your reservation at least 3 months in advance. We start our 4-day tour at 8 am when your guide and a private van will meet you at your hotel for a drive following the Sacred Valley route to the district of Huaran (2,850 meters above sea level – 9350 ft). Here, we are going to meet the rest of the staff (cook, horseman and horses as porters). Once we will finish packing all the gear on the horses, the trek begins. The geography changes with every step, from green valleys, trees, maize, potatoes crops and fruits to green Andean mountains covered with wild grass call “Ichu,” small groves of the Queuña tree (one of the few trees to have adapted to high altitudes), snow-capped mountains and cold weather typical of the Peruvian Andes. We will hike for about 3 hours to the Andean Village of Cancha Cancha (3,600 meters above sea level), where we will camp for the night. After a hearty breakfast, the second day on the Lares trek to Machu Picchu starts. Today is the hardest day as the route takes us to the highest pass of the trek Pachacutec (4,600 meters above sea level). The scenery is nothing less than fantastic while ascending: Vistas down on the valleys, on turquoise lagoons and black and green snow-capped mountains make it all the efforts worth it. After a good rest, we trek 2 hours downhill until we reach the dirt road that goes to Lares, a small town at 3,300 meters. From here, we will walk another 25 minutes to Lares hot springs, where we will rest for the second night. This place is very pleasant; the water is warm and contrasts nicely with the cold weather of the Andean Mountains. 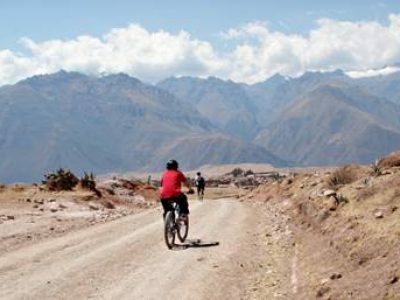 We take our bus to Ollataytambo on one of the most stunning roads from the Peruvian Andean Mountains. Small villages with stone houses roofs covered with Andean grass, small lagoons, waterfalls and variety of Andean birds are part of the scenery. The highest pass for this tour is Lares (4,460 meters) and two hours later is Calca, a small city in the Sacred Valley, from where we drive for 20 more minutes until Alhambra Restaurant, where we can enjoy a delicious buffet lunch. From here, it takes about 25 more minutes to get to Ollataytambo train station to catch the train to Aguas Calientes (town below Machu Picchu), where we get to to rest in a little hotel with hot showers. The most important day on the Lares trek to Machu Picchu. We recommend starting our trekking early in the morning. The idea is to arrive at Machu Picchu to see the sun rise, which for many of our clients is a wonderful natural spectacle. Walking from Aguas Calientes to Machu Picchu will take two to three hours. Once at the complex, your Inca Jungle guide will answer your questions regarding to this impressive complex. Later we meet with the rest of the group to go by bus to Aguas Calientes and then take the train back to Cusco. Transportation: Private bus from Cusco to Huaran (beginning of the trip). We include only one-way bus tickets from Machu Picchu to Aguas Calientes or vice versa, train tickets in backpacker service to Ollantaytambo and bus to Cusco. Accommodation: 2 nights camping and 1 night in a 3-star hostel. Note that you can upgrade your hostel in Aguas Calientes; ask for more information. Camping gear: Dinner and toilet tents, sleeping pads and double-occupancy tents. Guides: English-speaking guide throughout the trip, certified in first aid, with degree in tourism. Machu Picchu tour: Entrance fees to Machu Picchu and Huayna Picchu, private guided tour around Machu Picchu in English, bus ticket from Machu Picchu to Aguas Calientes. First breakfast, last lunch and dinner, bus ticket to and from Aguas Calientes and the entrance fees to the hot springs in Aguas Calientes. Hiking shoes, mosquito repellent, couple of t-shirts, hat or cap, swimsuit, towel, sandals, shorts, camera, things you consider necessary for the Lares trek. All the services in the Lares trek trip, including food, buses and hotels, are pleasant, safe and clean. We include one night in 3 stars hotel in Aguas Calientes and its categorized with 4 and 5 points out of 5 according to TripAdvisor scoring. Flexible departures. Its required only 2 persons to guarantee our departures. 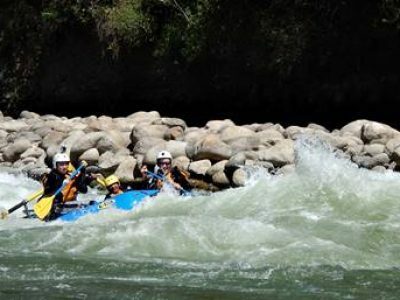 Combine your Lares trek with any Cusco rafting activities. Not happy with this tour? choose other Machu Picchu tours, or let us custom built your tour.